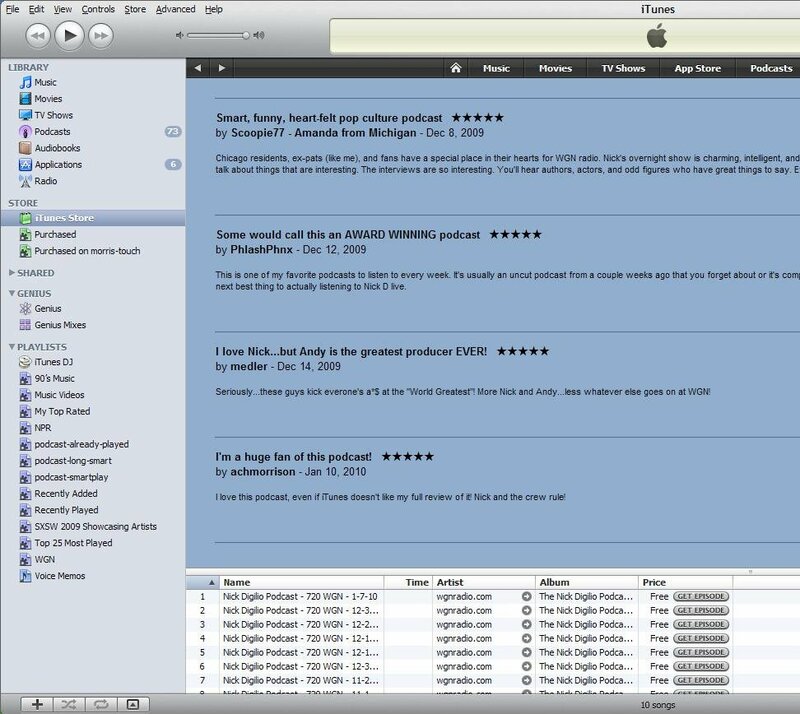 This is a screenshot of the podcast customer review page in the iTunes Store for one of the podcasts I listen to regularly. If you go read the reviews in iTunes right now, you won't see my review. It was removed, probably by Apple, most likely because of the critical comment I made about how someone at Apple did not like my full review of the podcast that I had tried to post before the one in the screenshot was posted. Keep them short and to the point. Average iTunes customer reviews are about 200 words. Mine clocks in at 238 words. Granted, it is formatted a little differently and looks longer, but it's no significantly longer than what Apple calls average. Praise podcasts on their own terms, not at the expense of other podcasts or the audience of other podcasts or genres. My review is nothing but praise, and says nothing about other podcasts or audiences of other podcasts. Take the time to copy edit your work so that you avoid embarrassing typos or grammatical errors. Do not use profanity or overtly sexual language. Do not use language that can be construed as hateful, especially in regards to lifestyle, religion, or race. Nothing in my review has anything to do with religion or race, so that's a non-issue. With respect to lifestyle, I suppose you could make a case about the numerous references to drunks, but if you know anything about the podcast I'm reviewing, you know that the topic of alcohol and drunks comes up frequently in the podcast itself. 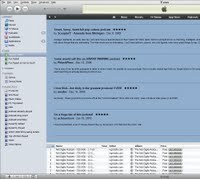 In fact, it is often in the titles and descriptions of the podcasts as posted to iTunes. And, my review is not "hateful" with regard to any lifestyle, so I don't really see it as going against this tip, either. If a review is deemed inappropriate, it will not be posted to the iTunes Store. iTunes does not remove reviews for editorial purposes. Reviews with profanity, hate speech, explicit/pornographic content, or commentary that is completely off topic are prohibited. To request removal of a review, click on Report a Concern for that review. Again, if you know anything about the podcast I was reviewing, you would know that every line in my review was completely ON topic for their show. My guess is that Apple doesn't want their Customer Reviews to become like the ones you see on Amazon. (e.g. The Story about Ping, Tuscan Whole Milk) Which is a shame. Because if fans of podcasts (or any content on iTunes) can't have fun to promote their favorite artists, everyone sort of loses an opportunity to discover something new. gotta be out of your parents basement, if you know what I mean, earn your keep! on a mission tryin' to find Mr. Nicky D.
The Cubs are out of town so I said "Let's park." Nick went on a rant and my pants fell off! You can do it right now or at your leisure, bro!